Why a Pet-Business Marketing Agency? 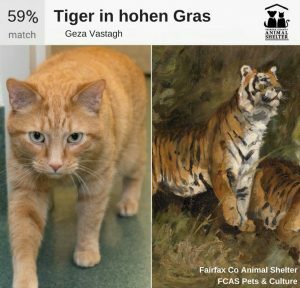 You’ve probably seen that Google Arts & Culture photo app making its way across your friends’ timelines. It’s not smart enough to recognize fluffy or furry faces yet, but ingenious pet rescue folks didn’t let that stop them! Check out their brilliant work and marvel at the similarities. And while you’re at it, why not pop into your local shelter and bring home your very own work of art? An American classic, note how the grey and black shadowing accentuates the sharp white accents of this Terrier’s intelligent face. The repose shown in this portrait belies this canine’s friendly and loving nature, her seemingly inexhaustible energy, and her drive to Chase All The Things. Meet her and her buddies at Helen Woodward Animal Center. How beautifully this image captures the feline’s exotic grace! Her golden eyes seem to pierce the very soul of her beholder (though she might be more interested in that tuna sandwich you’re eating, to be honest). Plus, no pearls for kitties, please, she prefers catnip. Bring this lovely the home she deserves. Meet her at Helen Woodward Animal Center. The lithe beauty of this ginger cat belies its speed and strength. At any moment, she is ready to pounce…on any catnip mice you might have strewn about the floor. Meet her and her pride at Fairfax County Animal Shelter. 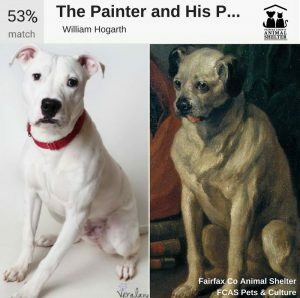 Hogarth might have painted her pugnacious, but we know this Doggo is all heart. She’s strong enough to hunt big game, but her greatest victory would be finding a home with you. Meet your 100% match at Fairfax County Animal Shelter. 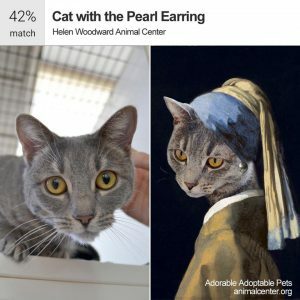 Check out more historic beauties at Animal Humane Society’s Facebook page and New York’s Best Friends Animal Society share to help them all find homes! URLs, Subdomains & Subfolders For Pet Businesses: What Are They and How Do They Impact Me? How Do Small Businesses Make Profitable Use of Partnerships? What Leads to Long-term Careers and Leadership in the Pet Industry? 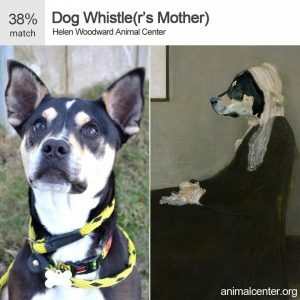 Is Facebook Dead for Pet Businesses? SheKnows.com Article: Should Cats Be Allowed Outside? Veterinary Practice News: SEO Quiz Time How Does Your Practice Rank? We sniff the interwebs for the hottest pet and cause-related topics every day. Sign up to get the best of the best trending news and quick marketing tips for how to use them to boost your business - FREE! WANT TO KNOW WHAT PET PARENTS ARE TALKING ABOUT?